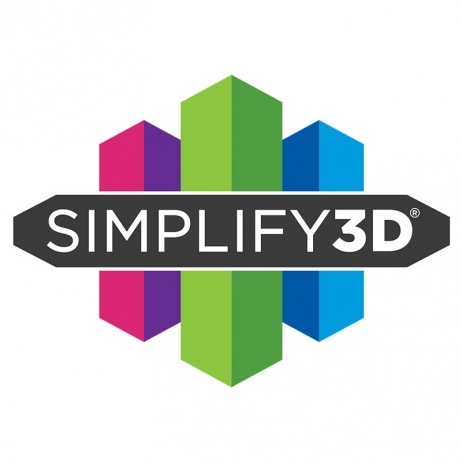 Simplify3D is an extremely comprehensive professional software for 3D printing. To date, no other 3D printing software offers as many settings and options as Simplify3D software. 178,80 € Tax incl. 149,00 € Tax excl. Compatible with over 150 3D printers (this number is changing constantly), Simplify3D is the perfect software for professionally optimising your 3D prints. Simplify3D is an integrated software suite that contains everything you need to print high-quality parts. Model repair, optimised amounts of materials and movements, multi-extrusion, optimised multi-item printing, multi-processes in a part (areas with 30% filling and others with 50%, for example), manual generation of supports, speed increased by 15 times, and more. In short, it’s the best 3D printing software there is. It’s faster, more complete, and offers unique expert settings such as its great customised support generation tool. One of the most significant functions of Simplify3D software! With build software, you only create support structures based on defined cantilever angles. The usual outcome is over-generation or under-generation of supports, and most often not exactly where you want them. 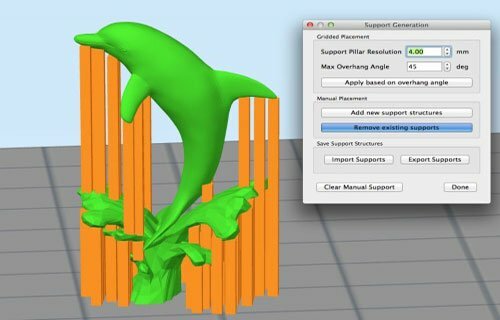 With Simplify3D, you take total control of support generation! 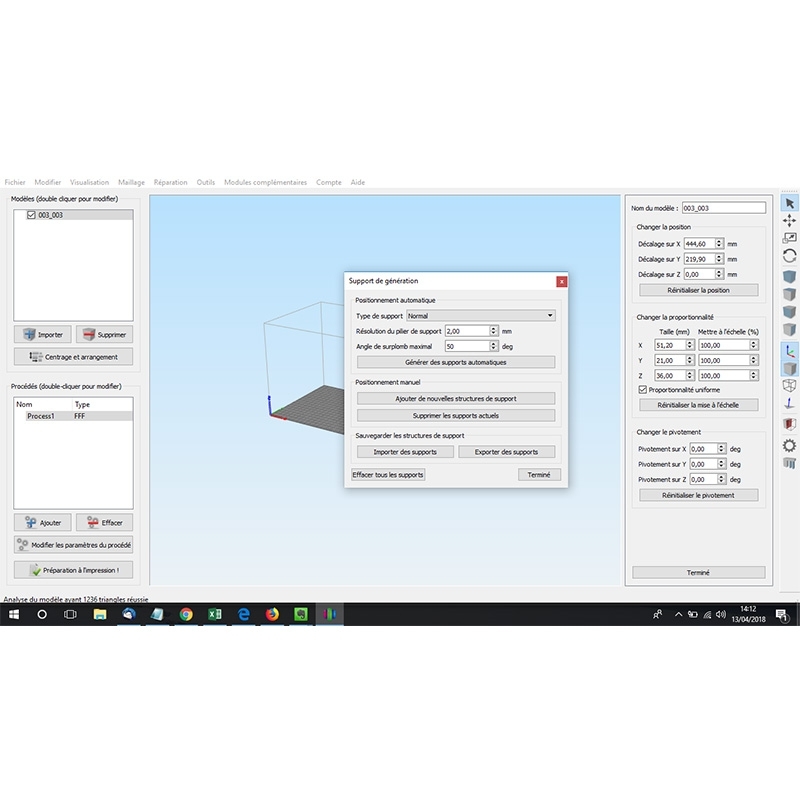 Generate support structures, then delete or add to them as you wish to perfectly meet the support requirements of the item you’re printing. You can also choose the thickness of the supports and the ideal positioning angle for your 3D print. So you can improve the finish of your 3D prints by removing your support structures simply and cleanly. My favourite feature is having the ability to place my supports exactly where I want them, and to be able to remove my supports without affecting the quality of my 3D prints. 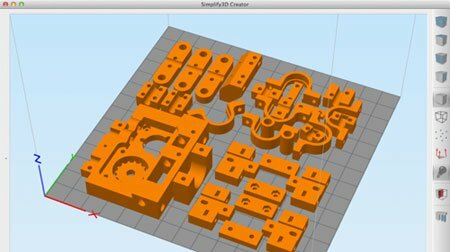 Another totally innovative and unique feature of the Simplify3D software is that it offers you the option to print multiple parts simultaneously, each with its own settings! So you can print 2, 3, 5 or 15 pieces on your plate, each with its own fill rate, layer thickness, wall thickness, etc. A real leap forward! Multi-item mode also allows you to best optimise how you organise items on your print plate, and choose between a sequential mode of printing or a continuous mode. I can apply custom settings to each item on my plate, and the software minimises movement between the parts, which helps me save a lot of time during my more complex prints. 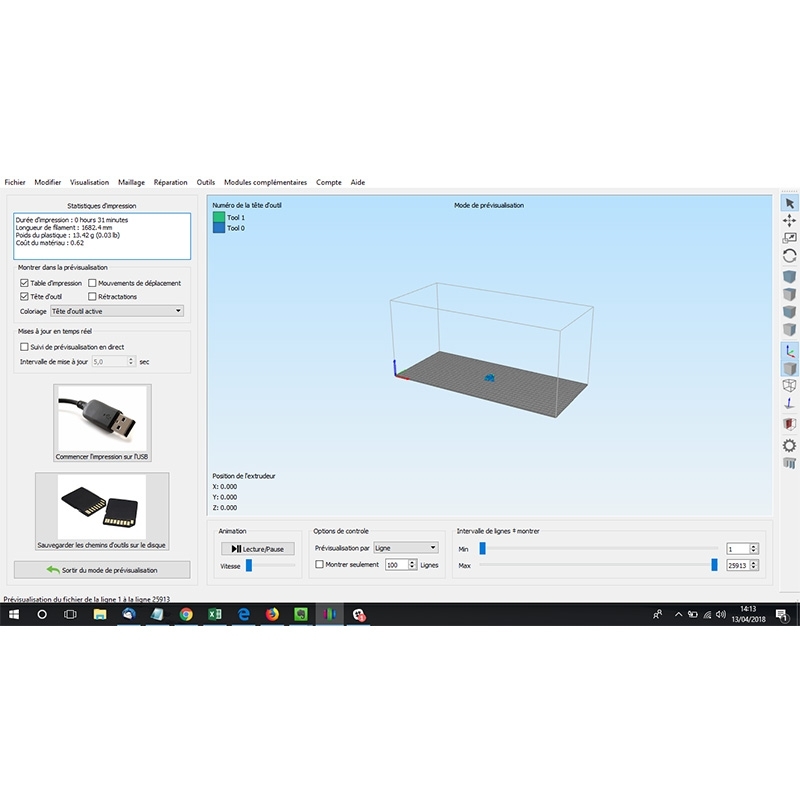 The segment settings available with Simplify3D software are simply revolutionary in comparison with normal software: you can apply different settings to a single item! As such, you can reinforce certain parts of your item by applying a 50% fill rate and 2mm walls, lightening other parts with a 10% or even 0% infill. In the same way, you can increase the print speed on the simplest parts of your object to print in 3D. As well as slow down the finest, most detailed parts, to get the best possible finish while reducing the print time. This tool allows you to optimise your time, material consumption and the structure of your objects like never before. The optimisation possibilities are fantastic - it's like going from Microsoft Paint to Adobe Photoshop. 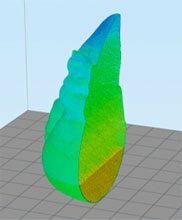 The Simplify3D software algorithms generate G-codes between 10 and 20 times faster than with current 3D printing software. Even the most complex and heavy components are cut in seconds, not minutes. Its cutting speed is simply awesome - about 10 times what I was used to before! 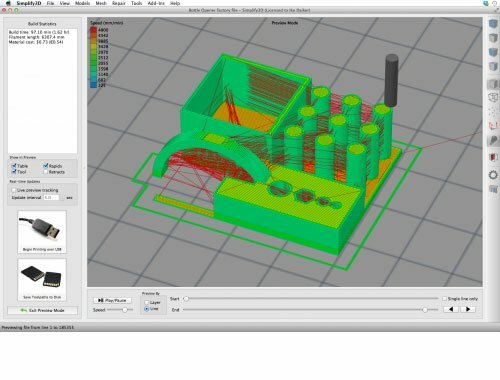 The extremely detailed preview of STL models and cut models (G-Code) on Simplify3D lets you effectively optimise the settings before you print. In this way, you can maximise the structure of your parts while minimising the print time and costs. The preview can be done manually or via a variable speed video. My Simplify3D software is worth the price I paid in terms of time alone. Fewer print failures and a greater ability to visualise and identify potential problems before printing starts. Interpose 100% fill layers every x layers to strengthen the structure of your items. Continuous printing mode (continuous movement - not sequential - of the Z-axis) for extremely smooth walls, for printing vases, for example. Printing by SD card, USB stick or by direct connection for information feedback and real-time optimisation.